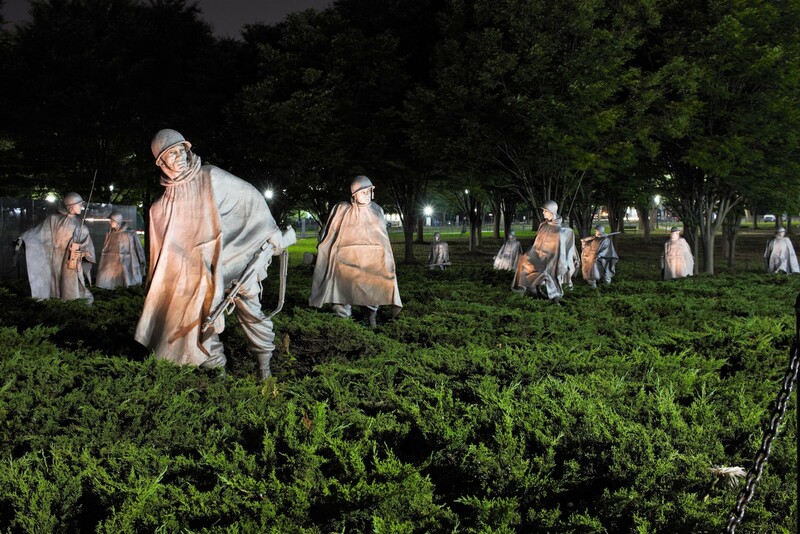 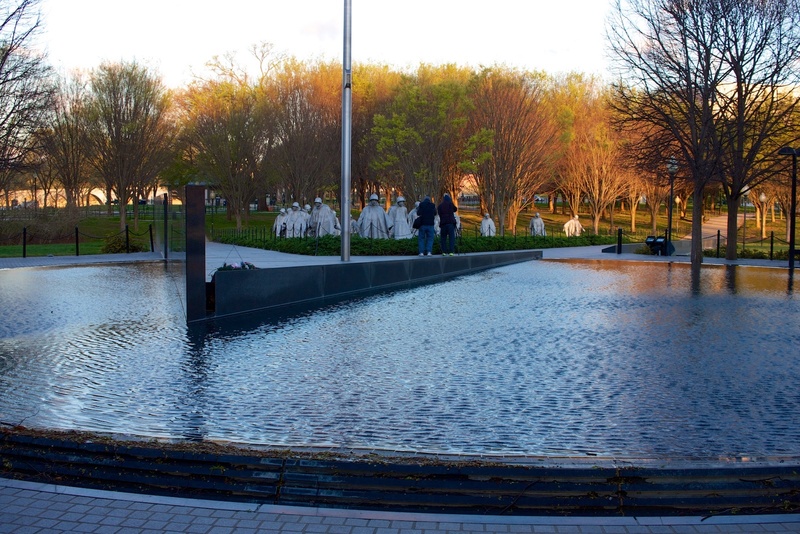 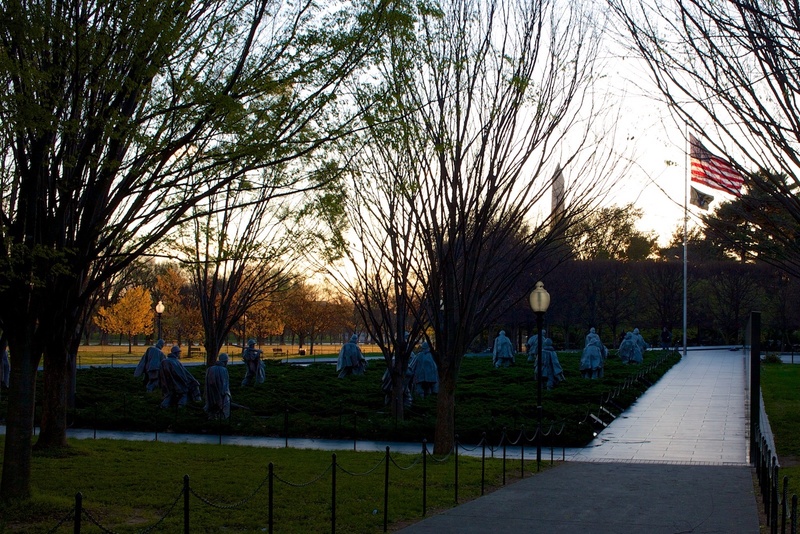 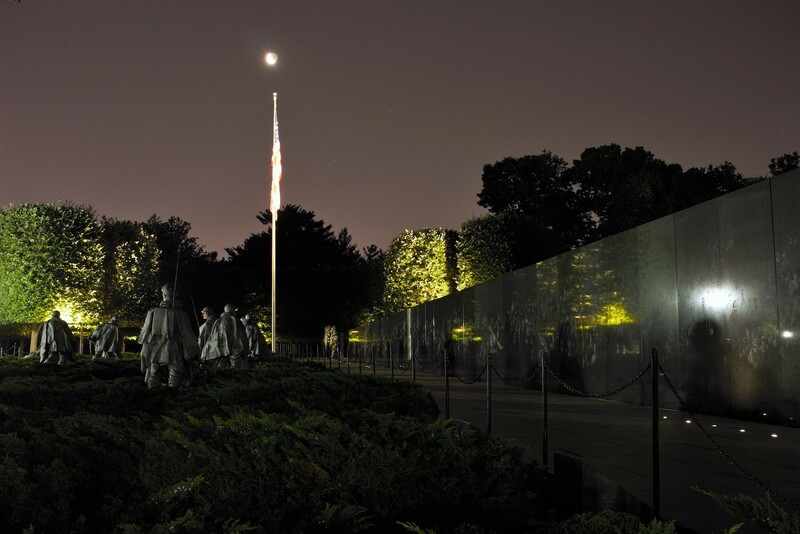 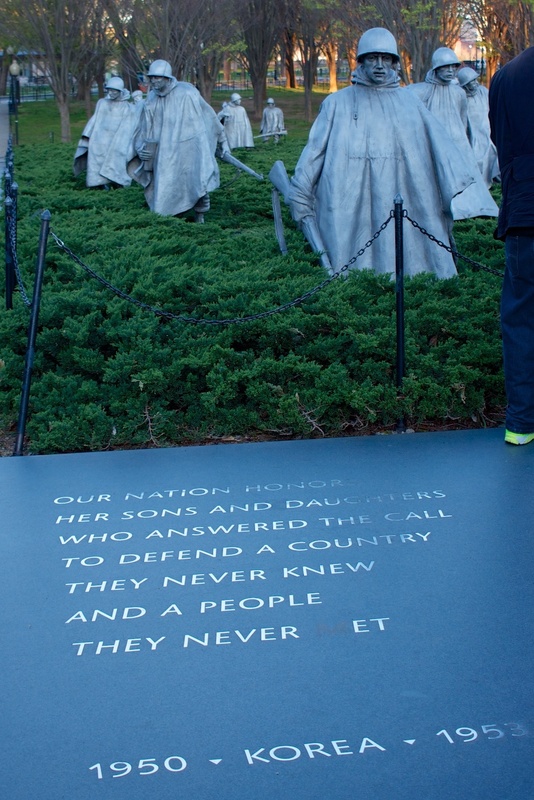 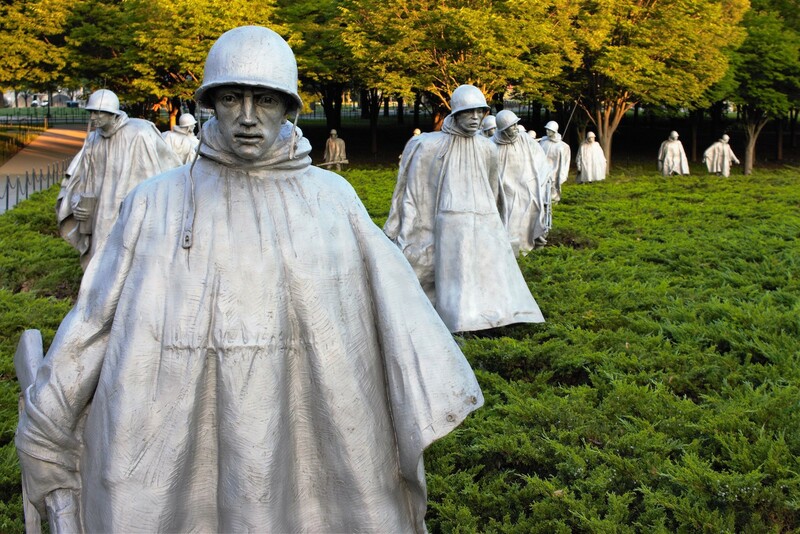 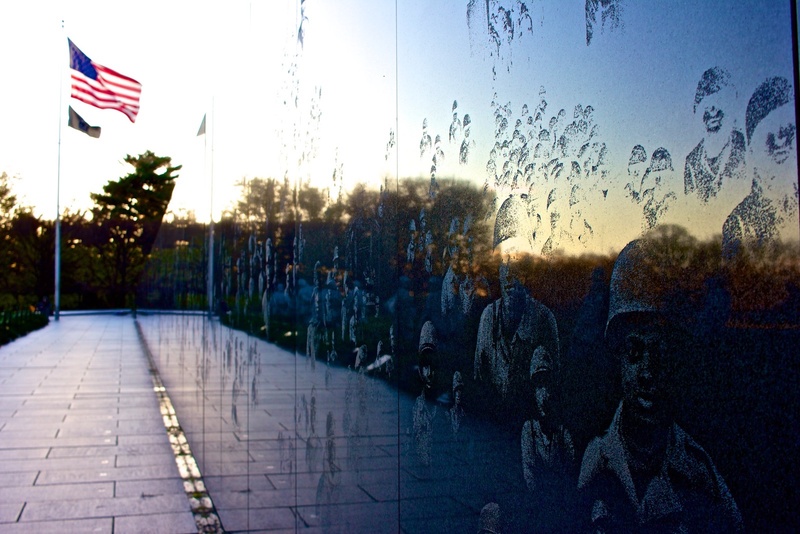 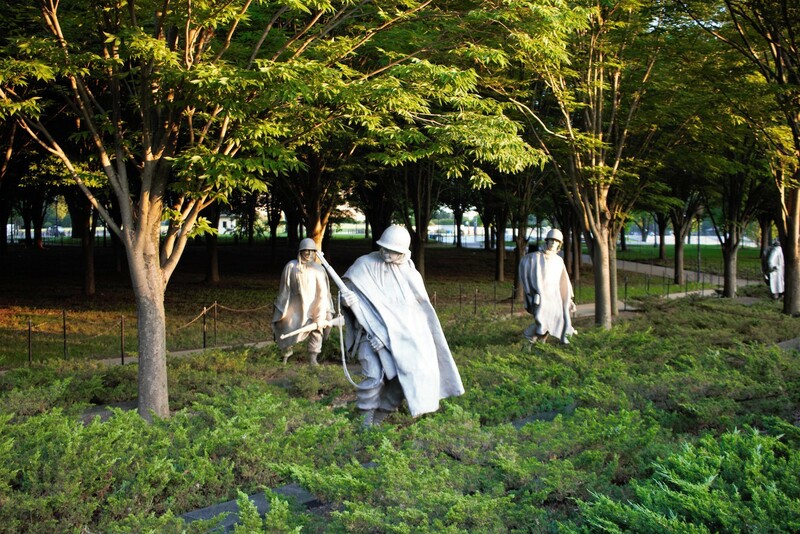 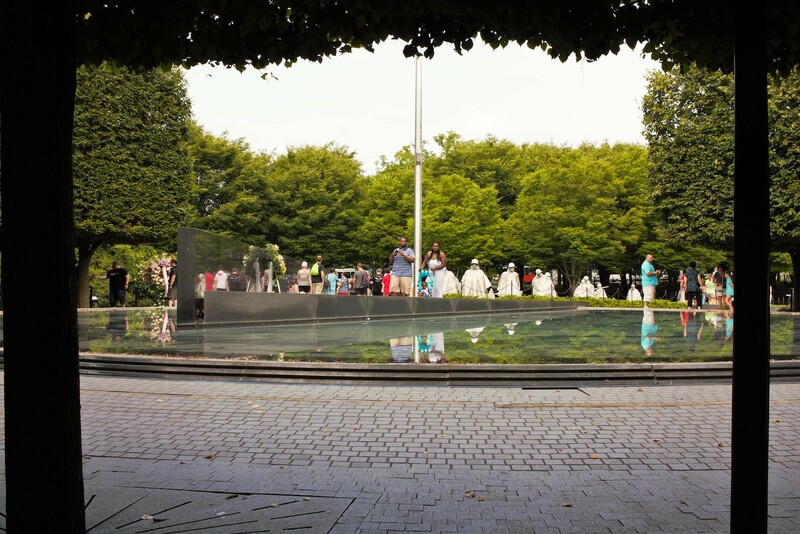 The Korean War Veterans Memorial is frequently overshadowed by the Vietnam Veterans Memorial and, although not always as emotionally resonant, the Korean War Memorial is more visually appealing. 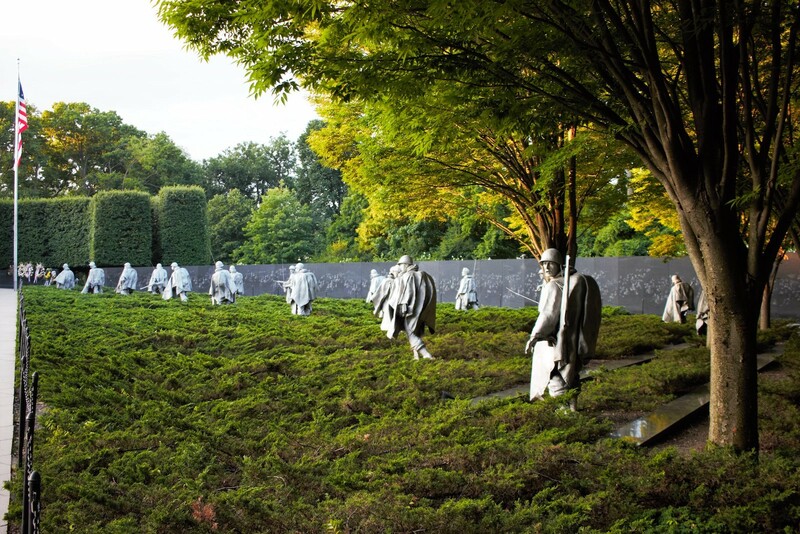 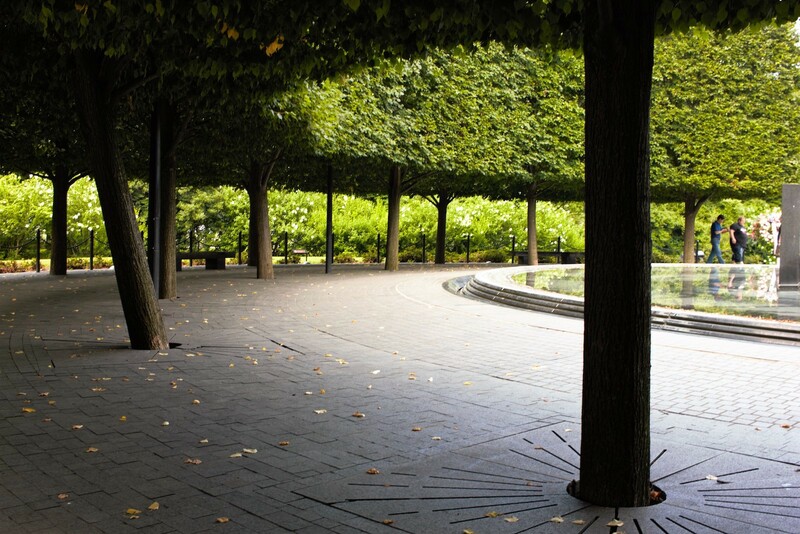 Designed as a small circle intersected by a large triangle, the Korean War Veterans Memorial beautifully combines a quiet, contemplative space with powerful, dynamic sculpture. 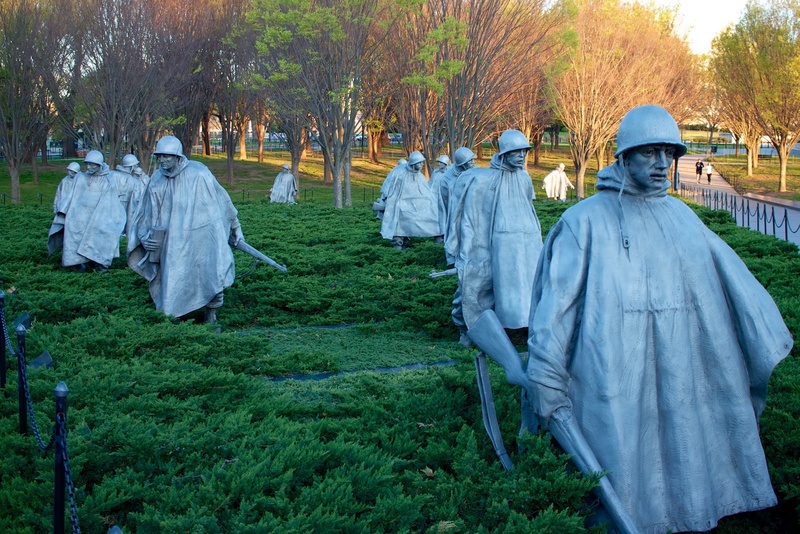 Dominating the memorial are 19 stainless steel statues representing various United States armed forces servicemen. 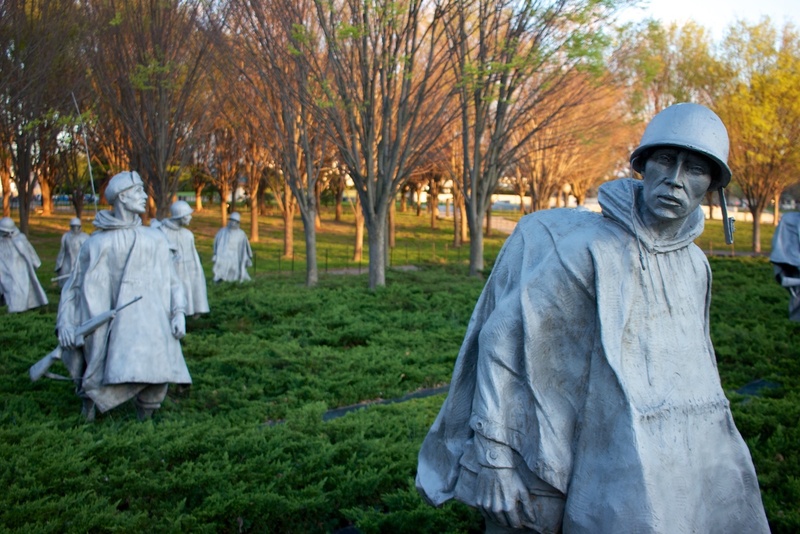 The figures are posed mid-action, patrolling the Korean terrain in full combat gear. 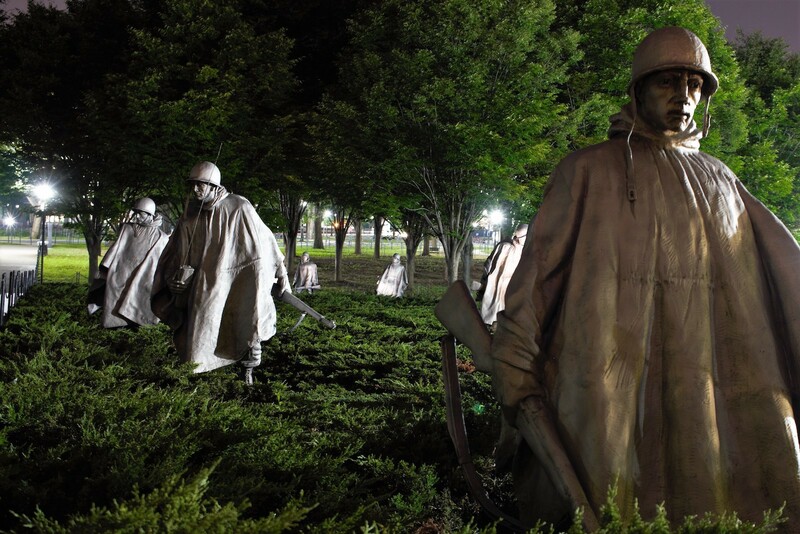 On a quiet evening, the alert, mindful statues can cause even the calmest among us to check over our shoulder for an invisible enemy. 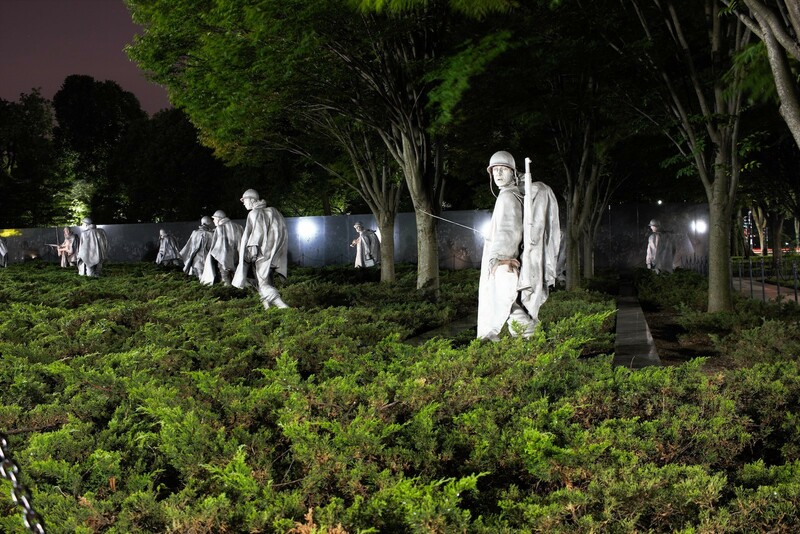 One side of the triangle containing these figures is made up of a glossy, black granite wall engraved with photo-realistic images of people, places, and items from the Korean War. 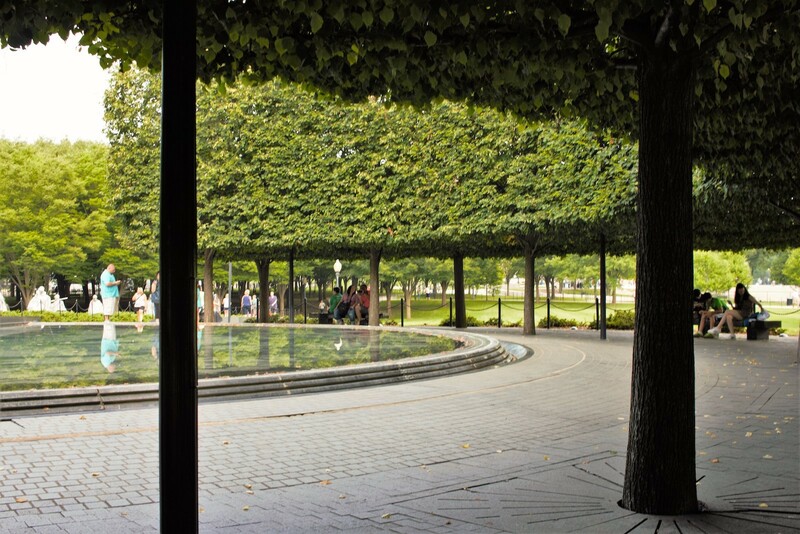 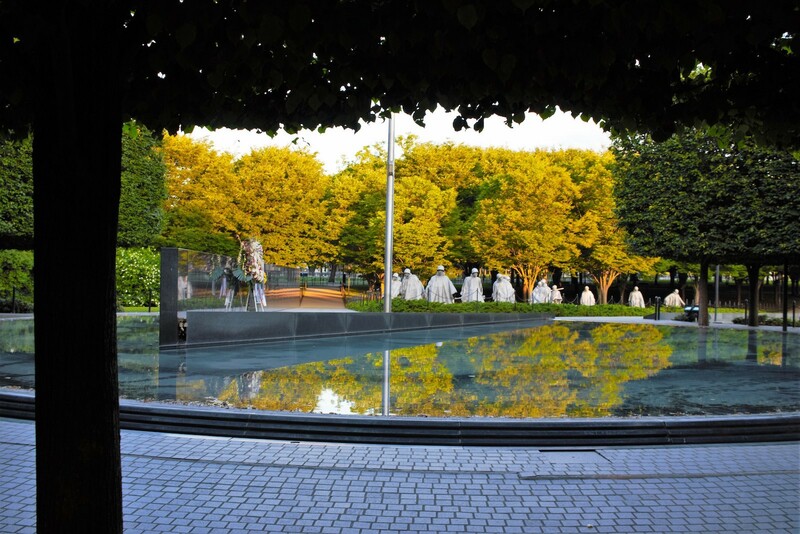 The circular portion of the Korean War Veterans Memorial perfectly offsets the animated triangular area with a reflecting pool surrounded by tree-covered benches. 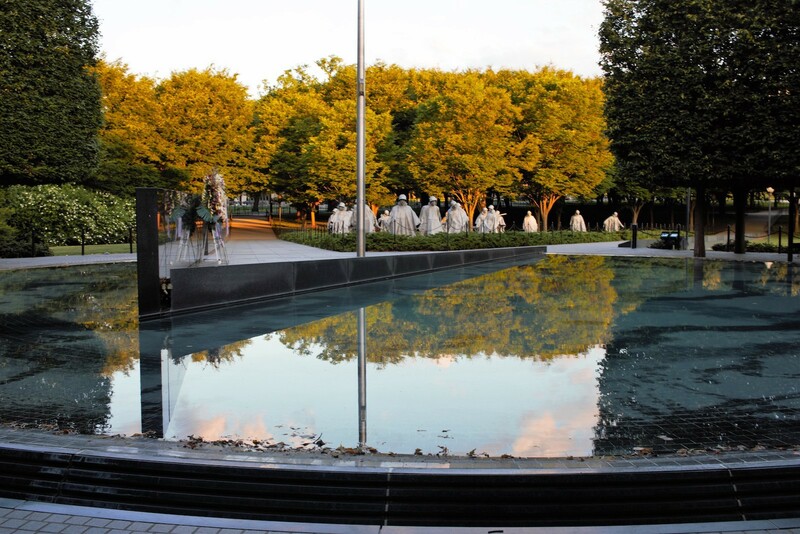 The Pool of Remembrance is a lovely spot to sit and contemplate the reminder spelled out on the section of granite wall that juts into the pool: Freedom Is Not Free.